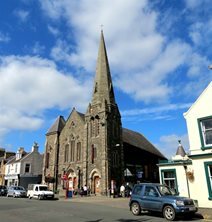 Pages tagged with 'entertainment'Peebles - The Royal Burgh : Visit and discover the County Town of Peeblesshire. The official website. The Eastgate Theatre is an excellent venue and hosts a varied and diverse programme including film, music, drama, dance, comedy, literature events and exhibitions. And there's also a cafe !